I originally made Rockslide in a twin size using a layer cake of Fresh Bloom by Michele D'Amore for Contempo Fabrics. I quilted it on my mom's Gammill longarm. I really loved the design, but couldn't stop thinking about what it would look like in Alison Glass fabrics. Eventually, I couldn't resist that urge anymore! 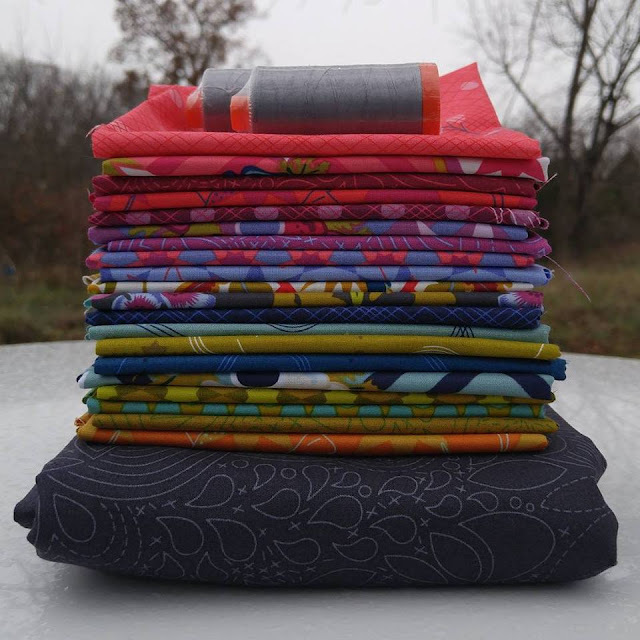 I ordered a beautiful stack of Seventy-Six fabrics from Alison Glass herself! 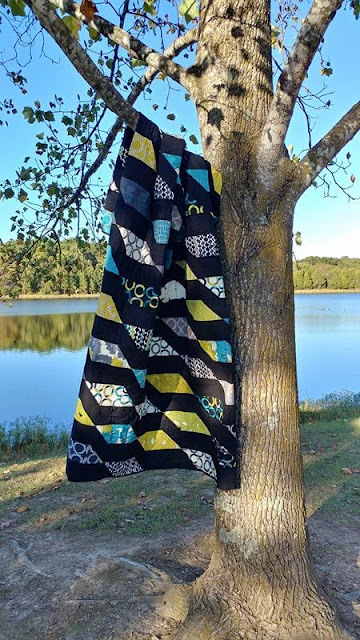 I decided to try a different size, and made a throw quilt using the Seventy-Six fabrics. I used the Stitched print in Charcoal Black for the background and binding. I chose the Rising print in Graphite for the backing. 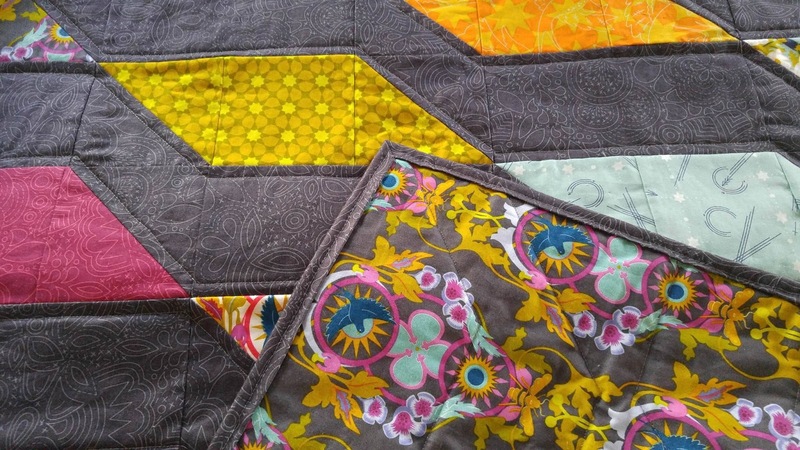 I also used Aurifil thread for the piecing and quilting - my very first time using it! It was just as dreamy as everyone claims! The final quilt has such a great feel to it! The softness of the Andover fabrics and the weight of the cotton batting make it my favorite quilt in the house right now! The cover image on the pattern isn't permanent (Update: I finally got a cover photo!). I've actually had the quilt finished since mid-January, but I haven't had a chance to take "proper" photos. 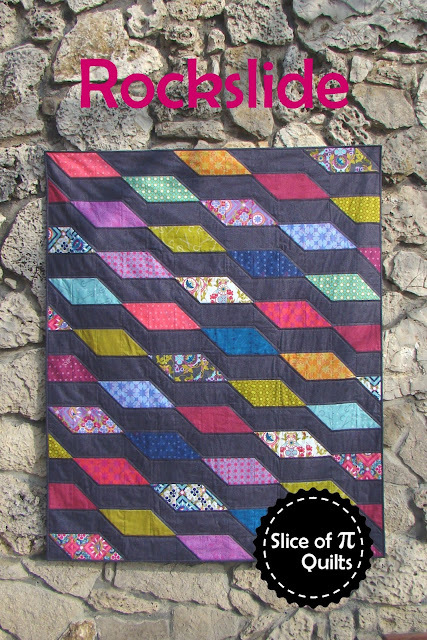 But I wanted to be able to share the quilt for QuiltingJetGirl's Alison Glass challenge, and that deadline is today! So my temporary photos will have to do. Rockslide is a beginner-level, charm pack and layer cake friendly pattern. 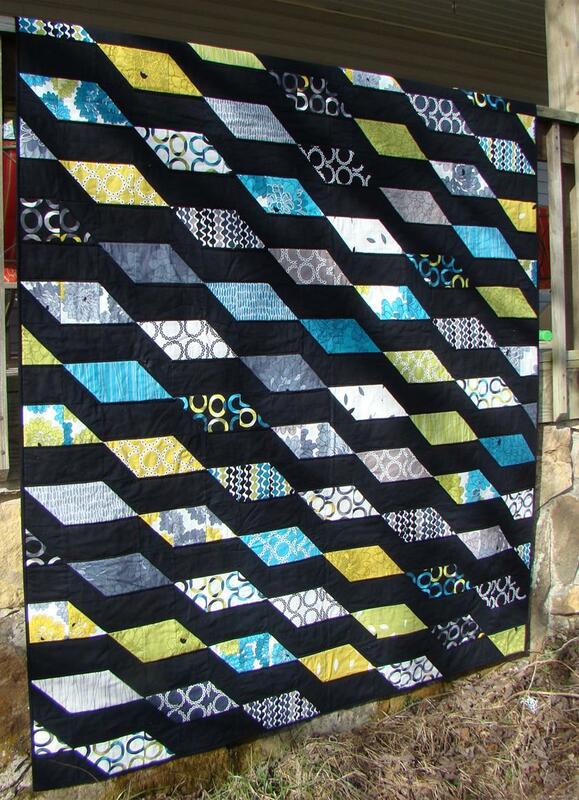 Pair your favorite fabrics with a coordinating background fabric to make this striking quilt. 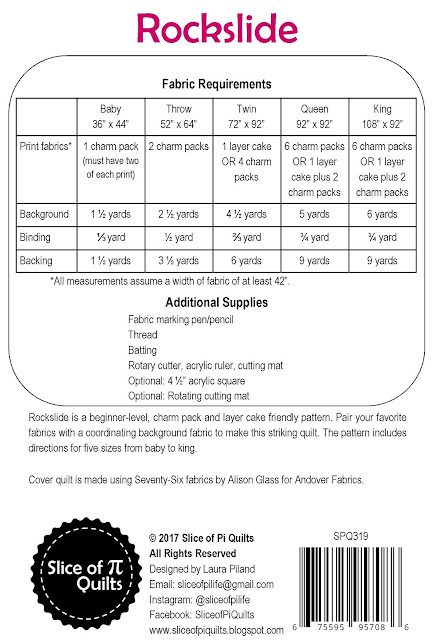 The pattern includes directions for five sizes from baby to king. You can get the pattern digitally in my Etsy and Craftsy stores. Printed versions will be ready in a few weeks. What a fantastic pattern to feature favorite prints. The Alison Glass shines against the gray background. 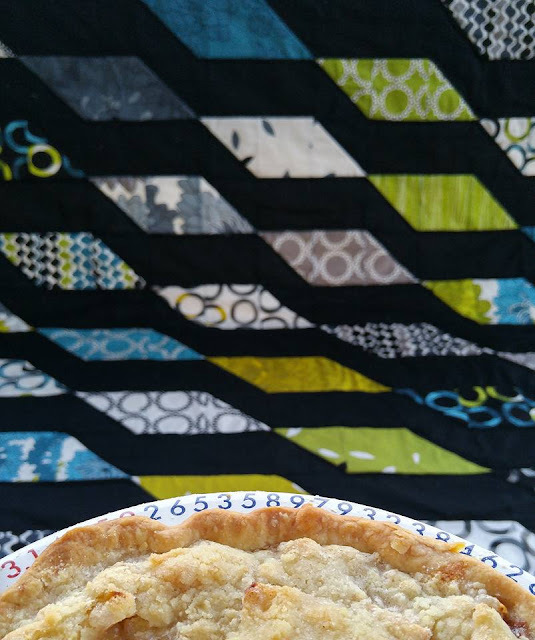 Thank you so much for linking up and congratulations on your pattern release!